PQube (London, UK) – September 14th, 2018 – Today, PQube advise everyone to fasten their seatbelts for the launch of RAZED, the mesmerising neon-speedrunner by developer Warpfish Games, worldwide on PC/Steam and Xbox One. Starting as an idea that made it to the finals of Edge Magazine’s “Get into Games” competition, the game grew into a full-fledged celerity frenzy that is also dashing to Nintendo Switch and PlayStation 4 later this year. To celebrate today’s release, RAZED is 10% off in the official stores until September 21st. RAZED is all about speed and rewards both quick thinking and reflexes. Rush through dynamic levels and dodge obstacles to fight for the top spots in international online leaderboards. 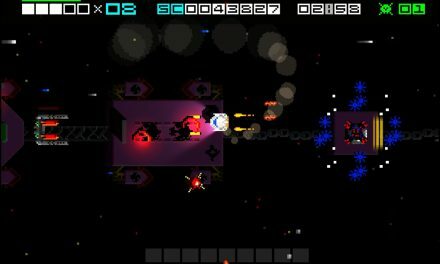 Combined with spectacular boss fights, unlockable abilities and the option to quickly reset your runs, RAZED is the flashyfastlane to an incredible feeling of digital speed! Sprint through 60 dynamic levels spread across six unique worlds, each with a distinct visual style, unlockable abilities and pulse-pounding boss battles. Employ all your different skills and abilities to find RAZED’s toughest maps and tackle them head-on. Challenge the world via online leaderboards, and race against friends’ ghosts in a game of asynchronous one-upmanship. For more information and the latest news, follow us on Twitter at http://www.twitter.com/PQubeGames, and on Facebook at www.facebook.com/pqube.